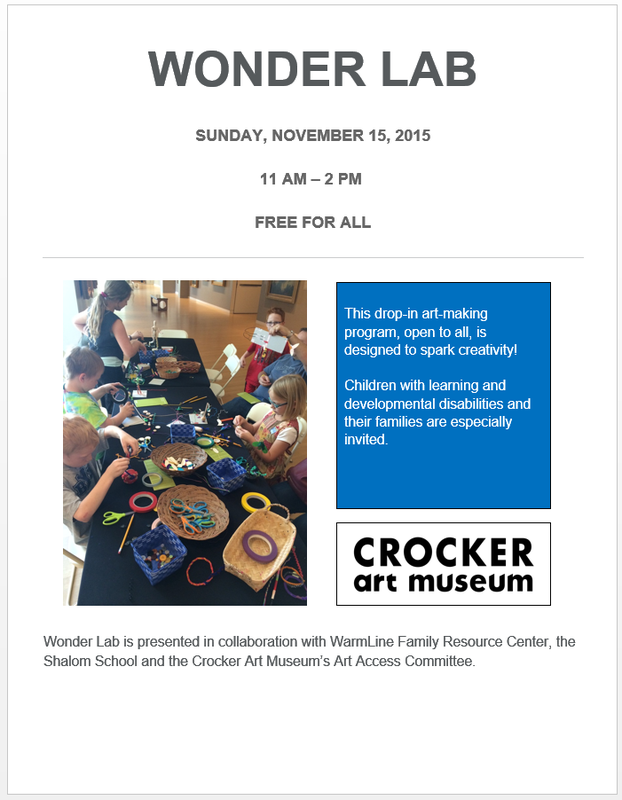 On November 15th from 11am-2pm, the Crocker is again offering Wonder Lab, a drop-in art making activity designed to spark creativity. Wonder Lab is free and open to all, and children with learning and developmental disabilities and their families are especially invited. SASSNA will be at the event with a table.